Augusta photographer has incorporated drones into his business and thinks he's found his niche. Last spring, Augusta photographer Thomas-john Veilleux was betting big on the role that unmanned aircraft, commonly known as drones, could play in his business. When Veilleux spoke to the Kennebec Journal in April, he’d just received his commercial drone operator’s license from the Federal Aviation Administration (FAA) after a half-year wait. He’d also acquired at least one quad-copter drone at a cost of $1,300 and was making plans to use it for some pro bono work during the early summer. Flash forward eight months, and no matter what pun you use to describe it — taking flight, getting off the ground, achieving lift off — aerial photography is playing a greater role in Veilleux’s work. His fleet has grown to four. He has shot senior photographs, wedding parties, real estate and construction projects using the remote-controlled aircraft. And he drives a white Jeep prominently advertising his drone services under their new name, Maine UAV. “I think I’ve found my niche,” Veilleux said, adding that about 75 percent of his drone work has been for real estate companies needing aerial views of homes. The growth of Veilleux’s own operation has mirrored ongoing growth across the drone industry. It’s now easier than ever for people wanting to fly drones for commercial ends to do so, whether to photograph football games, inspect power lines or monitor blueberry crops. Last year, when Veilleux decided to get into commercial drone photography, he had to apply for a special permit from the FAA. About 5,500 of those licenses have been issued since 2014. 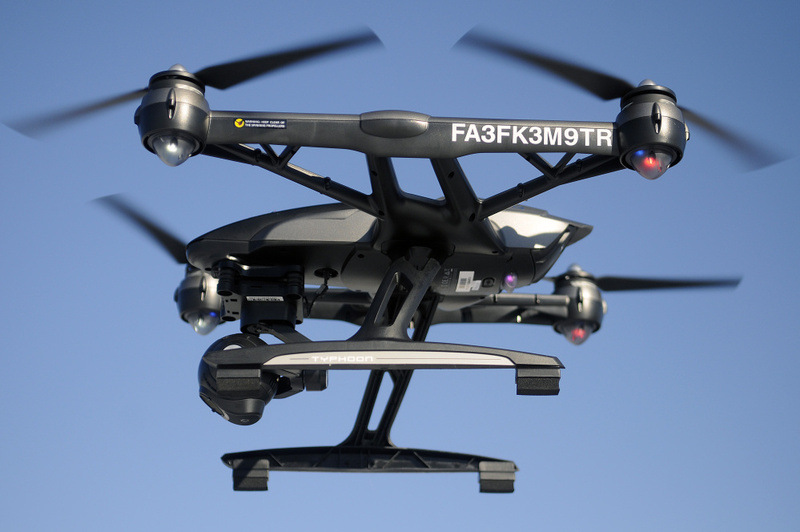 But in late August, the FAA created a new, more streamlined certification system for commercial drone operators. Nearly 23,000 commercial operators have been certified in the three months that system has existed, the technology website Recode reported last week. A regional FAA spokesman did not respond to a request for more information, including a breakdown of how many certifications have been issued to Maine operators. 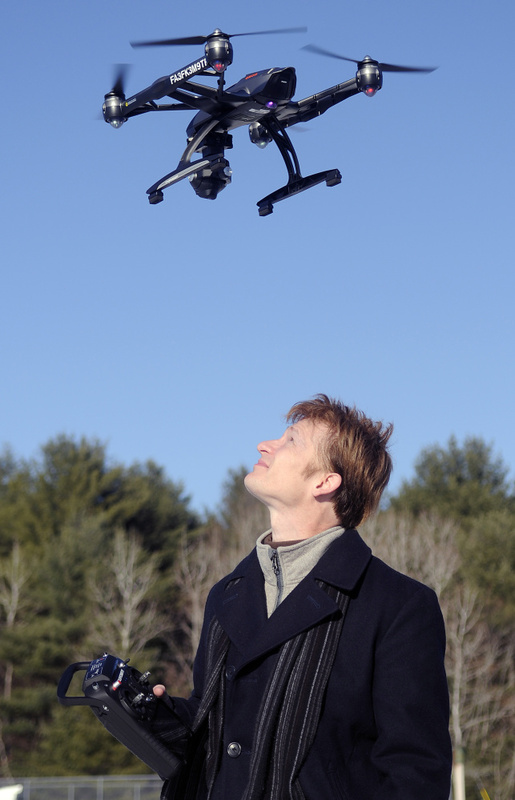 With the holidays here, growth in the drone industry can also be measured in sales. About 1.2 million drones could be sold this holiday season, up 112 percent from 2015, according to the Consumer Technology Association. Just this month, retail giant Amazon announced that it has made its first delivery of a package using a drone. Some of the industry’s growth has been among hobbyists who simply enjoy flying the unmanned aircraft and using them to take photos — and who do not require a special license. In Maine, though, drones are already being used or considered for a range of industrial purposes, according to Dan Leclair, a pilot and an instructor in the aviation program at University of Maine at Augusta. This fall, Leclair helped design and teach a course that prepared students for the test that is required to become a certified drone pilot. Thirty-seven students took the course with the intention of performing different types of tasks involving unmanned aircraft, Leclair said. Those tasks included inspecting buildings and utilities, photographing homes for sale, surveying land and monitoring crops. Four students have already passed the FAA test, Leclair said. Wayne Kilcollins, an instructor at Northern Maine Community College, isn’t new to aviation, but he has been at the forefront of drone use in one iconic Maine industry: potato farming. 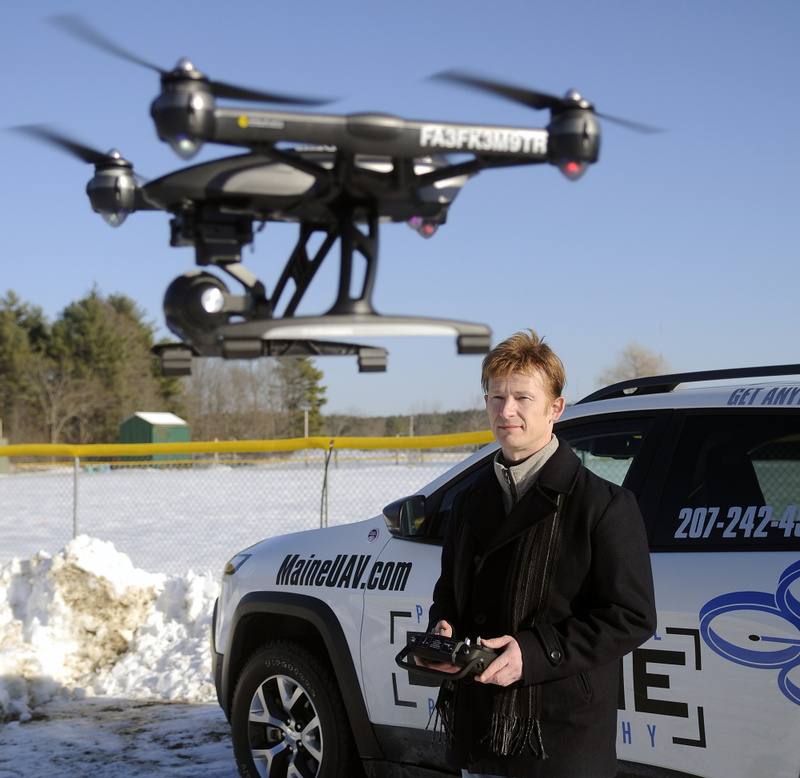 Kilcollins, a certified pilot who volunteers for the Maine Civil Air Patrol, has been working with a startup company in Cambridge, Massachusetts, called Raptor Maps that is applying drone technology to the agriculture industry. As part of a pilot program in Aroostook County, Kilcollins helped the company use drones to monitor potato crops. While the project is young, Kilcollins said farmers seemed receptive to the possibility that close, aerial monitoring could lead to more efficient farming techniques and higher yields of spuds. Like Leclair and Kilcollins, Veilleux, the Augusta photographer, is a licensed pilot. He got into drone photography partly because of his familiarity with the rules of the sky. As he and his business partner, local radio personality Renee Nelson, have grown their drone operation, they have also become more attuned to the regulatory challenges presented by the nascent industry. Veilleux was taking pictures at a wedding in the Portland area over the summer, he said, and because he was within 4 miles of the Class C airspace that surrounds Portland International Jetport, his drone refused to fly. That’s because the drone, which has to connect with a GPS signal before it can lift off, came with a built-in database of areas that are off-limits to some operators. Veilleux resolved that issue by presenting his credentials to the manufacturer and receiving software that removes the built-in restrictions. While navigating the FAA’s rules has been a challenge, Veilleux said he is also concerned about the commercial use of drones by other operators who are not licensed, both because they are less likely to do so safely and they compete with his own legitimate offerings. “It cuts into my business, honestly, people who offer their cousin Jim $50 to fly a drone at their wedding,” Veilleux said. An FAA spokesman did not respond to a question about how the FAA enforces the rules it has set for commercial drone users. Soon, though, Veilleux said he may be expanding his business to the warmer climes of Florida, where his combination of aerial and interior photography skills may be demanded by a growing real estate market.